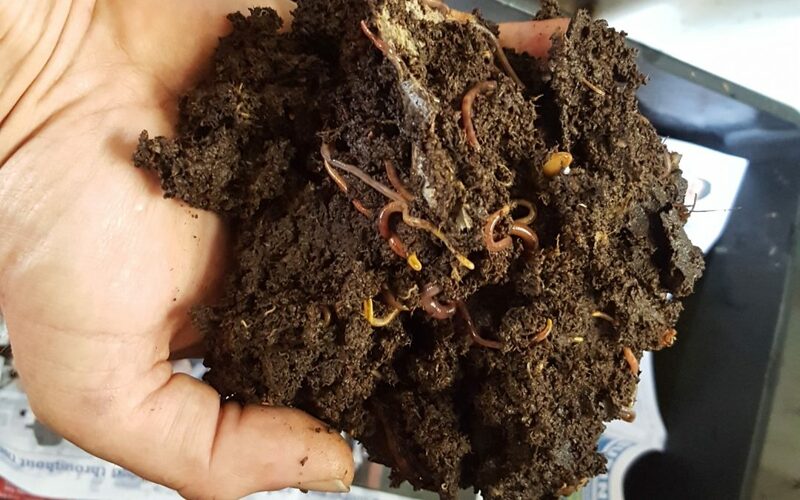 We literally have worms everywhere! 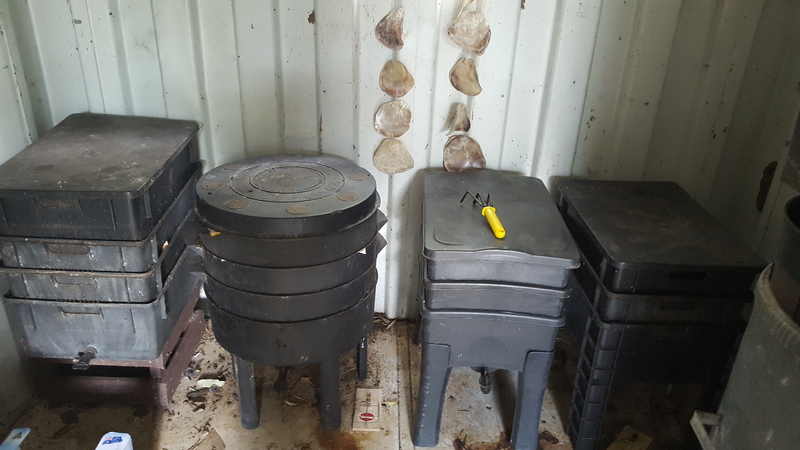 We have four worm bins in our container shed where we turn our food scraps into black gold or more commonly known as worm castings or vermi castings. The Red Wigglers (Eisenia foetida) are thriving. 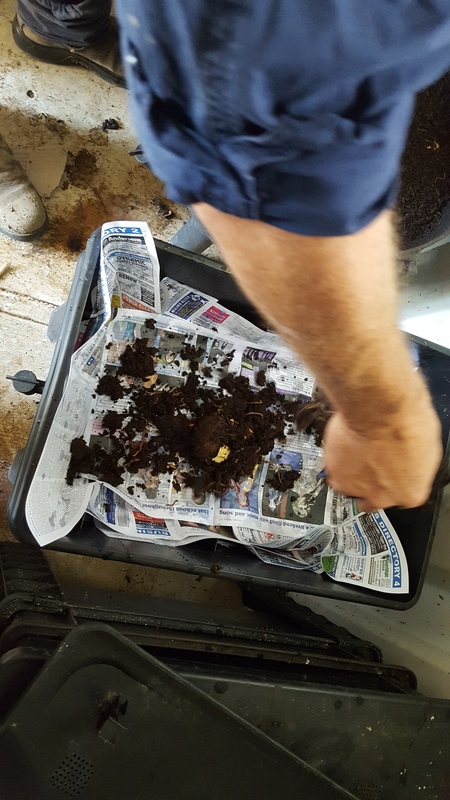 I empty the full bucket of food scraps every second day so that each worm bin gets fed at least once a week. 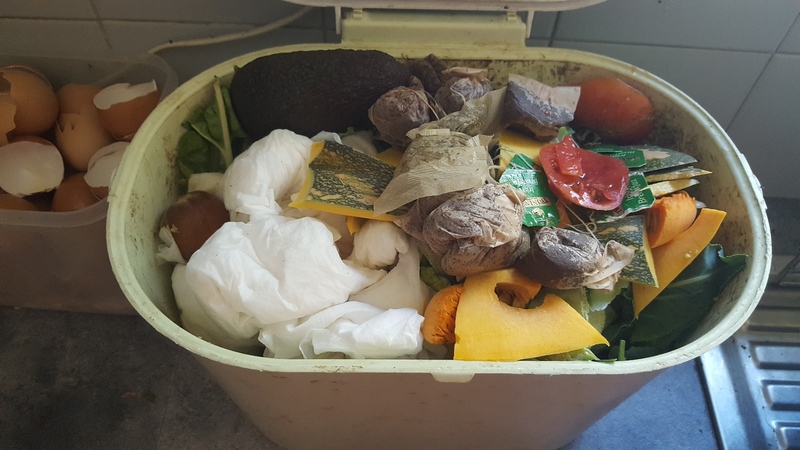 As a general rule you can put veggie scraps, tea bags, coffee grounds, soft paper like paper towel (as long as it’s not too greasy) but they don’t like onions, meat or citrus. 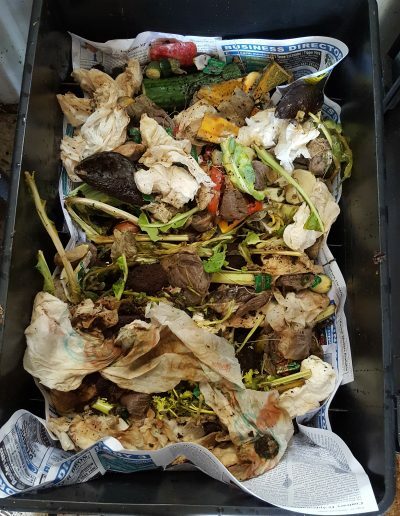 Our garbage is not put out on the verge every week, we are responsible for our own trash, so vermiculture is a clean and effective way to turn our scraps into something that will help us grow more food. You can’t get more sustainable than that! 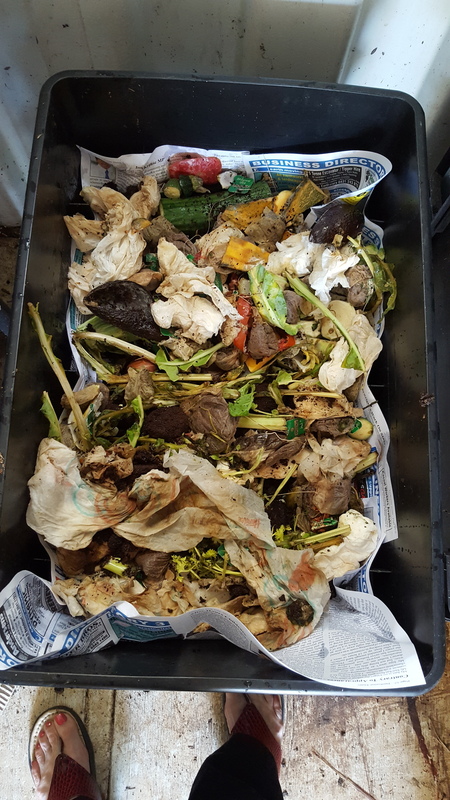 Put the scraps on top of the old layer when the old food has been mostly eaten. 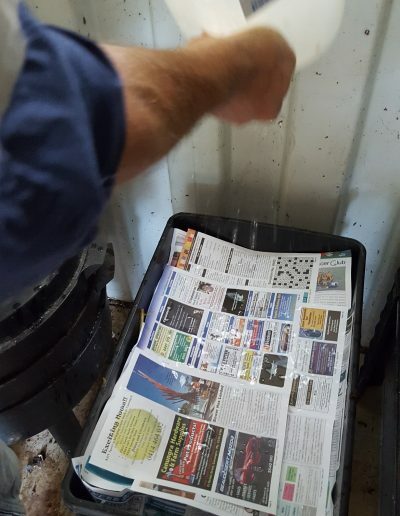 Cover with news paper or cardboard and sprinkle with water. 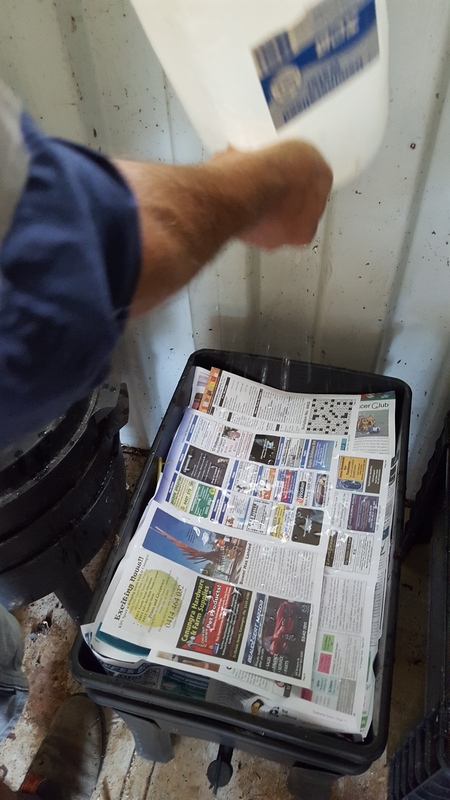 It just needs to be damp, not soaking. 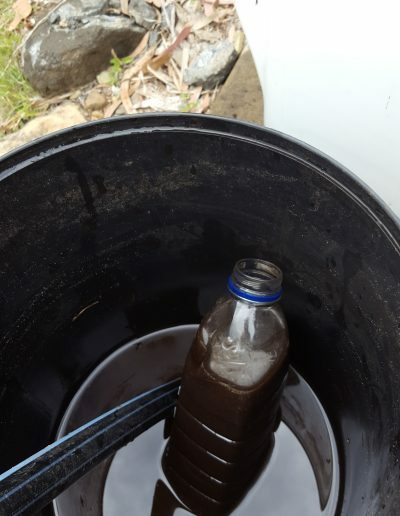 Worm juice is a bonus! 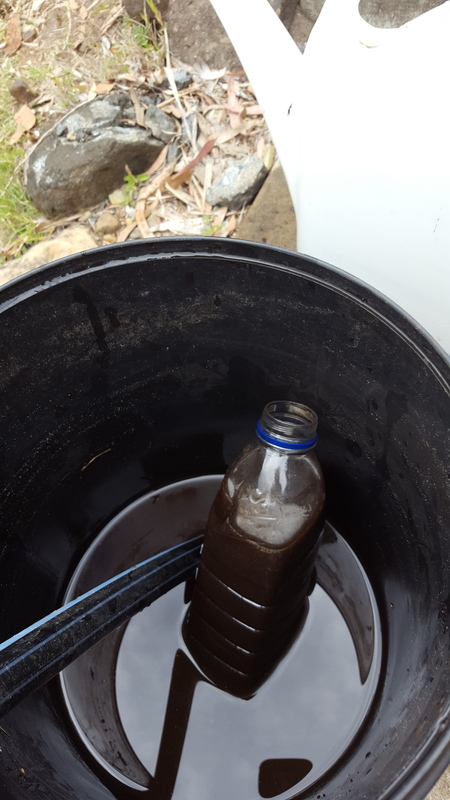 Post to follow on how we use our worm juice. 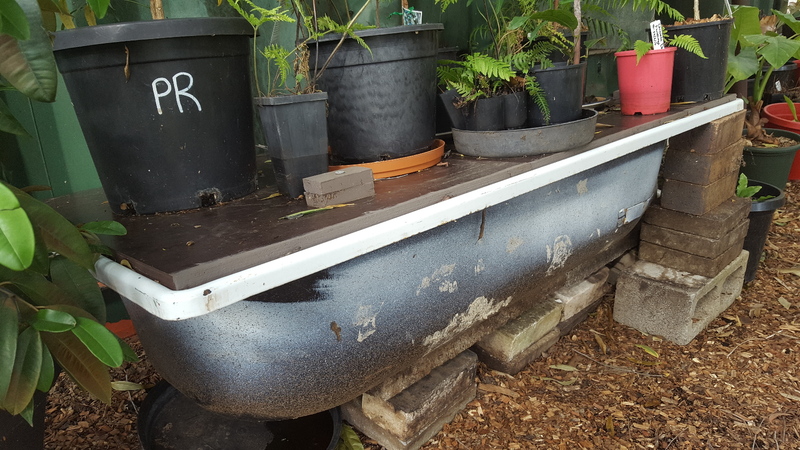 We have also converted an old bathtub into a worm farm that we use for larger quantities of green waste. It also makes for a great stand for some plants in the shade. 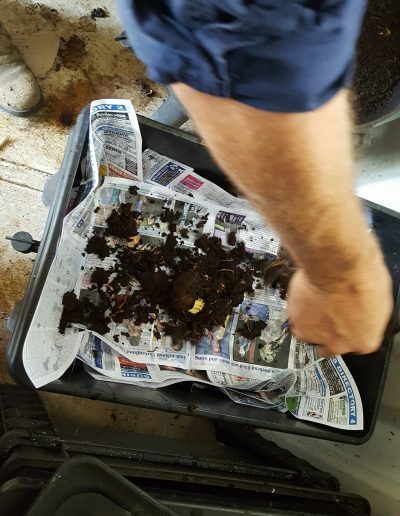 Worms must be kept in a cool shady position.